Price excluding VAT.(Incl. VAT £2,880) *VAT Relief available on this product. The Kymco K-ACTIV is a fixed frame powerchair which will provide you with excellent comfort, performance, and independence. With extra power and endurance, you’ll be able to hit a top speed of 6 mph and a travel distance of up to 27 miles. That’s why this powerchair is great for long and short journeys. That’s not to say that this is only an outdoor chair. 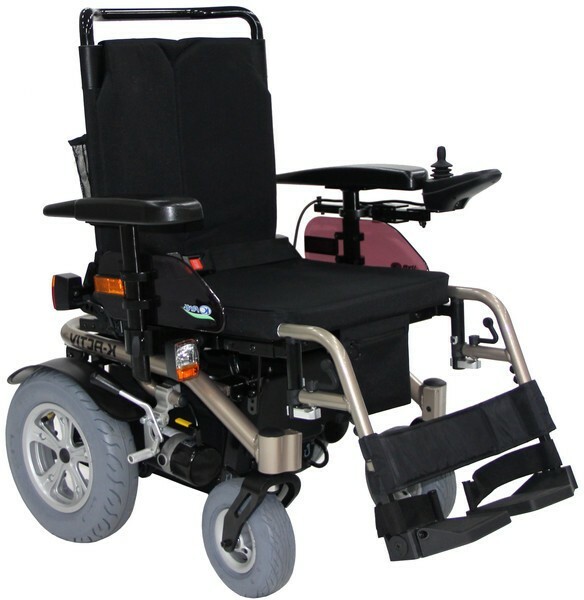 The compact design and excellent manoeuvrability makes this perfect to navigate your house, flat, or bungalow. The K-ACTIV comes complete with a fully adjustable range of features. You can change the angle & tension of the backrest; the same can be done with the footrest too. The responsive joystick can be adjusted to suit your preference. All this enables you to personalise your ride and improve the overall experience. A configuration has been carefully crafted which provides solid front tyres and pneumatic rear tyres. This helps to create a smooth and effortless drive experience. LED lighting has been fitted on the front and rear of the K-ACTIV which will ensure that you remain visible on everyday journeys. The efficient lighting will make sure you save on battery power too. Available in a stylish Metallic Mink and Golden Lemon, the K-ACTIVE will take you where you want to go in complete comfort and style.